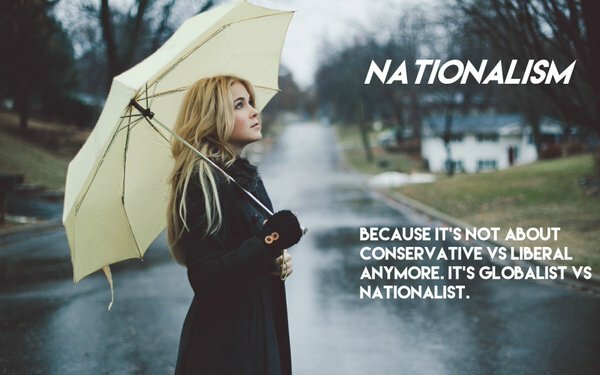 Regular readers of The New Nationalist (TNN) already know the drill. How many more times do we have to point out that cell phones and Ipads don’t produce poor-quality videos like those allegedly posted by a high school students in Parkland, Fla., on Wednesday. In one the jerky, blurry videos show undetermined figures laying on floor. One is conveniently laid behind a podium, with only legs showing. Lots of backs of people’s heads, and we see the standard filming of the floor on the way out. One kid posted a snapshot saying “we are going to die ?”. He took the extra time to even find an applicable emoji- really? I swear, this is the same non-existent camera model used in a dozen wash-rinse-repeat (WRR) psyops. Not much else has emerged from the school. Umpteenth times in our tiresome coverage of these WRR events, we’ve provide a comparable real-world examples to illustrate this point. Let’s use an older model, shall we. How about an Iphone 5S from 2013. You can compare it with any model. The result is the same: good-quality, nicely focused images with a stabilization feature. Somebody in the truther community with the technology needs to evaluate footage in all these events for fakery. Update: scrubbed from YouTube, unable to relocate. Here a student explains that when they were evacuated they were ordered to not look at the bodies the “army people” had moved and hid under mats. First statements when the police broke into the classrooms is, “Shut off your phones”. Wash, rinse, repeat reminiscent of Tsarnav brothers, narrative says Cruz went to Wal Mart and bought a drink at Subway after the shooting. He then sat down at McDonalds. He was apprehended nearby after he left. This behavior is in stark contrast with a real world killer Ted Bundy. In second video Bundy is talking about being in absolute horror and panic after murdering his victims. The scene around the school was typically WRR quiet. There were EMT vehicles parked some distance away, but nobody seemed busy in the videos I perused. This WRR had 17 dead, and more than 50 wounded, according to Broward County Sheriff Scott Israel. The scene should be VERY active in a mass casualty event of this scale. Curious scene: Here the media reports on the suspect being taken to the hospital for treatment. Problem is- he is not on the gurney- nor did he walk in. This next video is a must-see and is short. It ranks high in the annals of WRR deceptions. We see a textbook example of duping delight as one “Alexa” claims she walked and talked in the hallway with mad-killer Cruz. As we have seen numerous times, the decoy of another shooter is inserted into her narrative as well. But we can always check the CCTV footage for evidence of that, if true, right? Sheriff Israel announces no plans to release CCTV footage. Naturally, the usual suspects are quick on the story. Pam Geller had some juicy tidbits. Apparently, Cruz was an admirer of terrorist boogeymen, including ISIS. This canned looking photo of cutout Cruz from Pam Geller is laughable. Do people really believe this stuff? Yes, besides being an admirer of Muslim terrorists, the young man is an Anti-Fa stooge. seriously? Doesn’t look like guy in mug shot. Hide your sons and daughters. Update: There is now a similar double bind lie that Cruz is a white supremacist. Update on update: ADL and lugenpresse fooled on fictitious “Republic of Florida” narrative by a 4chan prank. I’ve had enough of the WRRs. TNN will keep an eye out for the low-hanging fruit, like the dog food in the kitchen photo from the “Gray State”/David Crowley psyop, but I am really inclined to just otherwise go into hiatus on most of this skulduggery. In fact, as spring comes, I’m getting off the computer and taking a break. I have been prolific of late, and readers no doubt have their own catching up to do.